Executive director Debra Petke of Danforth Art showed “Standing Boy” from the Meta Vaux Warrick Fuller Collection. Most of the museum’s collection is temporarily in storage. Within the past two years, Danforth Art has hired a new executive director, been evicted from its longtime home, put its collections to storage, and moved its administrative offices and studio art classes to a new building. It had also hoped to join forces with Framingham State University. And while that plan is still in the works, momentum was stalled this month when Town Meeting blocked the museum’s request to transfer its Jonathan Maynard Building to FSU. Robin DeBlosi, Danforth’s director of communications, said the Town Meeting decision is disappointing but both the museum and Framingham State are committed to finding a solution that will allow Danforth Art to become part of the university. In May 2016, the town informed Danforth Art that it would have to leave its home in the municipally owned Danforth Building, accelerating the organization’s plans to relocate into the historic Maynard Building. Danforth Art had purchased the Maynard Building in 2014 with the goal of slowly renovating the property and moving into its new home several years later. Officials spent the summer packing up belongings, putting artwork in storage and getting the new space ready for occupancy. In October 2016, Danforth Art moved its administrative offices to the Maynard Building, which now also houses six studio art classrooms. Most of the artwork remains in storage, though there is one exhibition of portraits and figure drawings on display at a senior residence community in Needham. Also during 2016, Danforth Art began investigating partnership opportunities that would provide greater financial sustainability and programmatic support. In December 2016, Danforth and Framingham State officials announced that they were working on a plan for Danforth Art to become part of the university this spring. 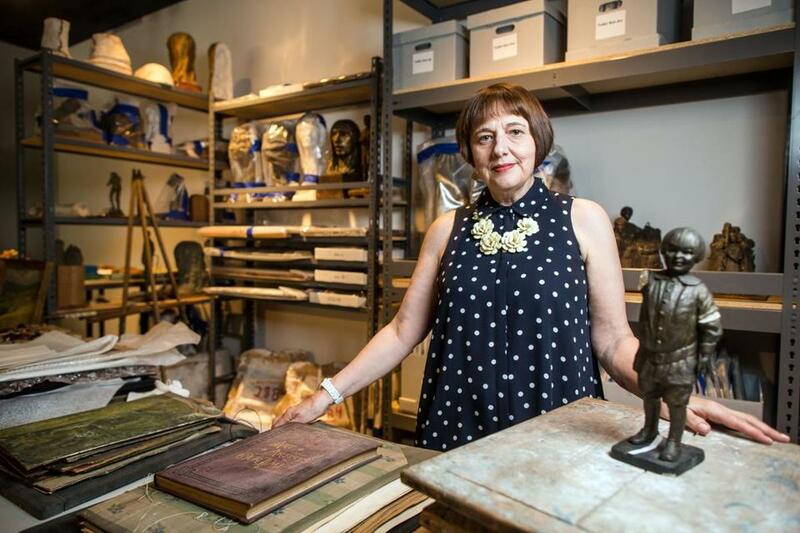 Officials said the two institutions have had a long-standing connection since the museum and studio art school was founded in 1975, so a formal partnership that would provide the museum with financial support, infrastructure, and academic resources made sense. The university plans to house the museum, which would be called Danforth Art Center at Framingham State University, in the Maynard Building. But in order for the partnership to move forward, Danforth Art needs the town’s approval to transfer the property, formerly owned by the town, to the university. DeBlosi said Town Meeting agreed in 2013 to sell the Maynard Building to the museum for $1.5 million. The sale included a provision that gives the town the right of first refusal if Danforth sells or transfers ownership of the property. However, Town Meeting recently passed over a warrant article that would have allowed the museum to transfer the building to the university after members raised concerns about the plan. Harold Geller, vice chairman of the Standing Committee on Ways and Means, said the documents detailing the partnership agreement and plans for the building were not specific and did not guarantee that it would be primarily used as a museum. Geller said his committee was concerned that the building would be used for academics or administrative offices and not a museum, as Town Meeting had intended when selling it to Danforth Art. “We were somewhat afraid that it could morph into just another university building over time,’’ he said. Geller said his committee expressed concerns to museum officials about the wording well ahead of Town Meeting but no changes were made. “The problem my committee had was primarily with the agreements and not that we don’t like the museum,’’ Geller said. DeBlosi said officials from the museum and the university have spent the last several months negotiating an agreement with the goal of both boards voting on a plan by the end of this month. But it’s unclear now how things will proceed. Dan Magazu, a Framingham State spokesman, said the university still wants to reach a deal. Magazu said the partnership would benefit students and professors, but also the town. “Our interest is also in preserving this great cultural institution for the local community,’’ he said.